Outgoing Zambian dictator Edgar Lungu on Tuesday refused to meet American Assistant Secretary of State for African Affairs Linda Thomas-Greenfieldwho was in the country to discuss key issues especially regarding the upcoming general elections. State House and diplomatic sources revealed that an appointment was initially made and agreed upon but Lungu later cancelled when he heard that the top American diplomat was going to raise the issue if PF sponsored violence and attempts to manipulate the results of the August elections. The diplomat with his powerful entourage sent by American President Barack Obama and Secretary of State John Kerry left Zambia on Wednesday very disappoibted as many countries now fear there will be serious violence during elections due to PF. Sources revealed that the diplomats had fruitful meeting with leading opposition figure Hakainde Hichilema of the UPND and were also scheduled to meet Post Newspaper editor-in-chief Fred M’membe, but that was the day M’membe was arrested. Infact part of the reasons for the arrest of Fred M’membe by Lungu was to prevent him from meeting the top American diplomats on Tuesday. 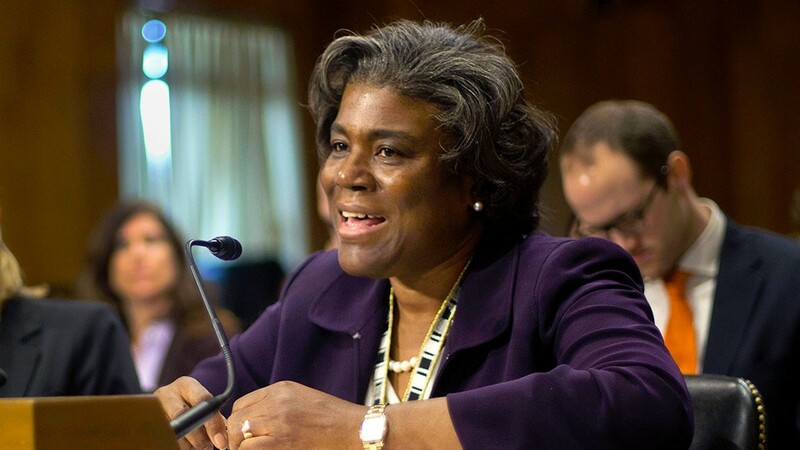 U.S. Assistant Secretary Thomas-Greenfield said that press freedom is integral to free, credible, transparent elections. She reiterated the U.S. Embassy statement that the timing of the closure of The Post Newspaper by the Zambian Revenue Authority, only weeks before important elections in Zambia, is of deep concern. She urged the Government of the Republic of Zambia to work with the Zambian Revenue Authority and The Post to find a way forward that allows The Post to begin to pay its back taxes and reopen. She added that the beating and arrest of The Post owner, his wife, and managing editor, and indeed the beating and harassment of any member of the press, is a direct assault on press freedom in Zambia.